Smiggle is a big thing in this house, my seven-year old loves the shop. Until I went into the shop I had no idea why. The products they sell all look great and the majority of their products are scented, including their Squishies. 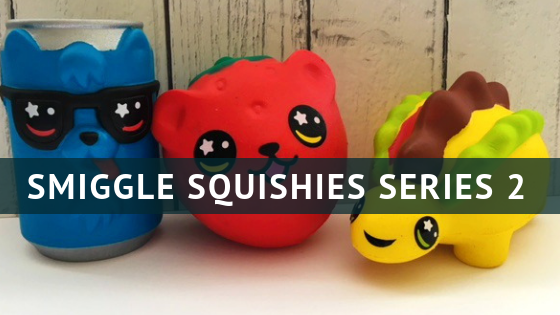 Smiggle have recently released their series 2 of squishies and they are proving popular. I had no idea about Squishies until my daughter kept going on about them. Having seen them I still wasn’t sure about them until I had a good look at the Smiggle Squishies. They just felt so much better quality compared to others and I was impressed with how nice they smelt. I never thought that at 40 years old that I would be loving the scent of a collectible. 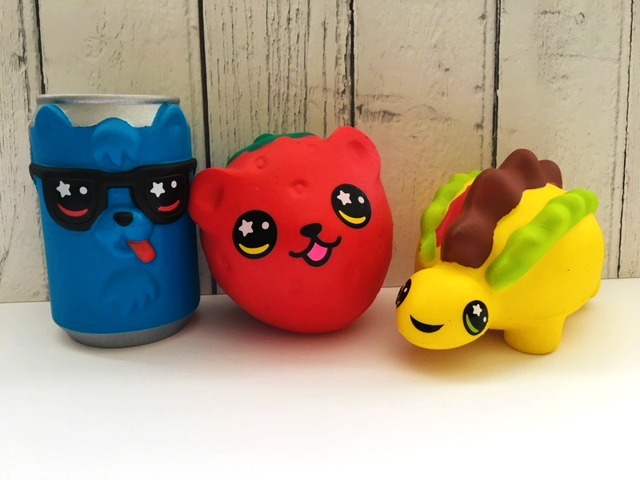 There are eight new squishies to collect in series two and here are three of them. 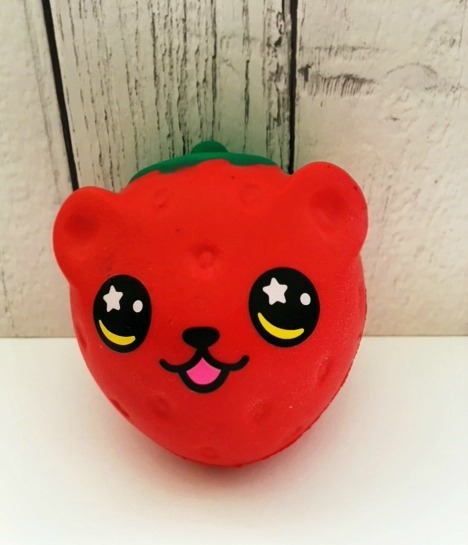 Bella is a mix between a strawberry and a cute bear and is fun to squeeze and squash. It has the most wonderful strawberry scent. Paco Tacosaurus Taco ’bout the life of the party! I love to dance and squish! 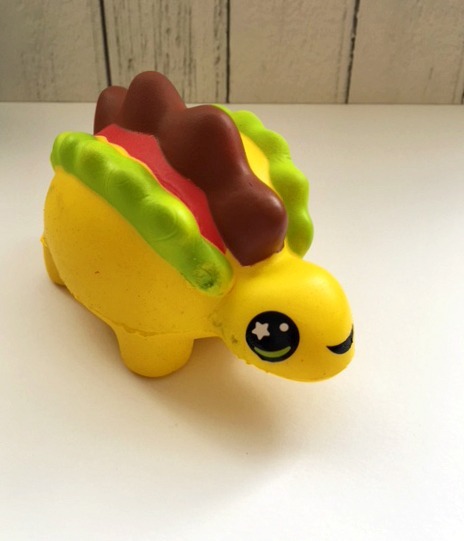 A hilarious dinosaur taco mash-up the kids will love to squish this one sideways. As soon as I saw this I just knew my youngest would love it because it’s a dinosaur. It is super squishy, as for the scent I am not sure what it is. My daughter said it reminds her of biscuits! Can I roll over you? You bet, I can roll, sit and squish. Buster is one of the larger squishies and it really does squish. my daughter squashes it right down and it slowly rises up. I am not sure what it smells of but it does however smell nice. 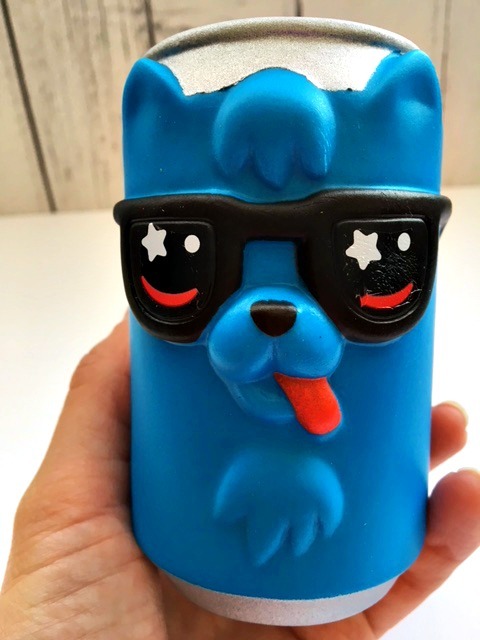 Each Squishie character from Smiggle is made with slow rising foam, so they are super soft and each one has a different scent and smell. The Squishies cost £9 each which is actually fairly reasonable compared to the quality of other ones I have seen. I still don’t understand the fascination of them, just as my daughter doesn’t understand why I used to collect rubbers when I was her age. To celebrate the launch of their brand new series 2 Squishies, Smiggle are holding a competition to win the entire Squishies collection. All you need to do is snap a picture of your Smiggle Squishie on an adventure. Share he snap on Instagram, Facebook or Twitter and mention your country and where your Squishie is in the caption. Images can be shared on social media via parents and guardians if a child is under 13 years ago of age. Smiggle Squishies are Age 6 + and are available online and in store. Diclaimer – We were gifted these Smiggle Squishies. Wow, these look brilliant and I expect will be on my children’s list for Santa this year.